Today is the penultimate day of the Full Tilt Online Poker Series and there are three exceptionally tasty tournaments to choose between. An incredible weekend is in store on Full Tilt Poker, with more than $2.75 million in guaranteed prize money to be fought over during the next two days and the Leaderboard competition to be resolved. Winners will be crowned (well, given a little gold avatar), bankrolls boosted and the most consistent FTOPS XXI tournament player will receive free entry to (nearly) all the FTOPS XXII events. “callyoudownn” has been on top of the leaderboard since Tuesday. Can he hang on over the weekend? All will be revealed on PokerNewsReport. One of the most highly anticipated tournaments of the whole Full Tilt Online Poker Series kicks off the action on Saturday – the two day FTOPS #31. This valuable tournament has an exceptionally high buy-in in relation to the other events ($2,100), has very long 30 minute levels and a huge pile of chips to start with – 6,000, equivalent to 300 big blinds. Those with more modest bankrolls will be looking forward to (strangely) the only Stud tournament on the FTOPS schedule. FTOPS #32 is a $216.00 buy-in Stud Hi/Lo tournament with a double stack of chips to start off with but quite a steep blinds structure over the 15 minute levels (increasing to 20 minutes at the end of Level 17). The $20,000 guaranteed tournament begins at 14.00pm server time (7.00pm GMT) with two hours of late registration up until the end of Level 8 (2 hours) and is sure to be a popular event. Be warned that, with potentially two pots available in every hand and a large number of entrants, this tournament could go on until the early hours of Sunday morning. Possibly the most popular event of the day will be FTOPS #33 – a $109.00 buy-in re-buy and add-on Rush NL Hold´em event which gets underway at 16.00 server time (9.00pm GMT). The structure of the tournament allows players unlimited re-buys throughout the first hour every time their stack falls below 1,500 chips and one add-on of 3,000 during the first break. There is a guaranteed prize pool of $150,000 for this tournament, for which late registration is allowed up until the end of Level 10 (one hour), at which point the length of each level will increase to 8 minutes and then increase again at every break. The Rush NL Hold´em tournament which played last Saturday night (FTOPS #16 won by Branko07) attracted 905 player so, despite the name of the tournament, do not expect this event to be over in a Rush either. 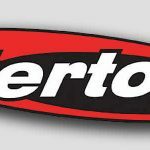 There were just two tournaments played yesterday in the Full Tilt Online Poker Series which were both significant in that the “balance of power” moved away from the Americas and back into Europe, while vital points were won in the FTOPS leaderboard competition. The FTOPS #29 was a NL Hold´em Rush event, similar to #33 today, but with only 1 re-buy and 1 add-on allowed. The 400 players who entered created a prize pool of $170,200 – with the climax of the event battled out between Russia´s “serjiofx” and “pokerccini” from Germany – the Russian eventually capturing the first prize of $42,550. In yesterday´s preview, we reckoned that FTOPS #30 would be far more popular than had been anticipated – and so it proved. 308 players ponied up the $216.00 buy-in to the Double Stack Omaha Hi/Lo event – more than trebling the guarantee that had been advertised and enabling Norway´s “datso-buessal7” to walk away with $13,120 after a deal was made with his heads-up opponent “mcflurryoreo” from the UK. 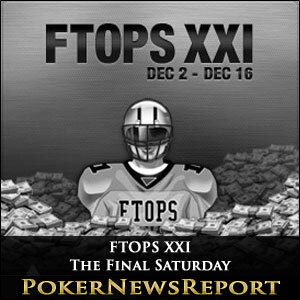 Points earned for a thirteenth place finish in FTOPS #29 saw “callyoudownn” extend his lead at the top of the FTOPS Leaderboard competition and it looks as if one of the pack behind him is going to have to win one of the final five FTOPS tournaments to deny him the title.